Great looking "StoryBrand" web design that aligns with StoryBrand principles. If you've read Building a StoryBrand, or completed one of the StoryBrand courses, you know the most successful businesses are not always the ones that have the best product or service, they are the ones that are clear. But you also want a website that looks great, so you want to work with a team that can implement StoryBrand principles effectively and deliver clean, modern design. StoryBrand has been certifying Guides since the Spring of 2017. BankerCreative was certified in April of 2017. Since then we have helped dozens of companies clarify their messaging and redesign their websites. 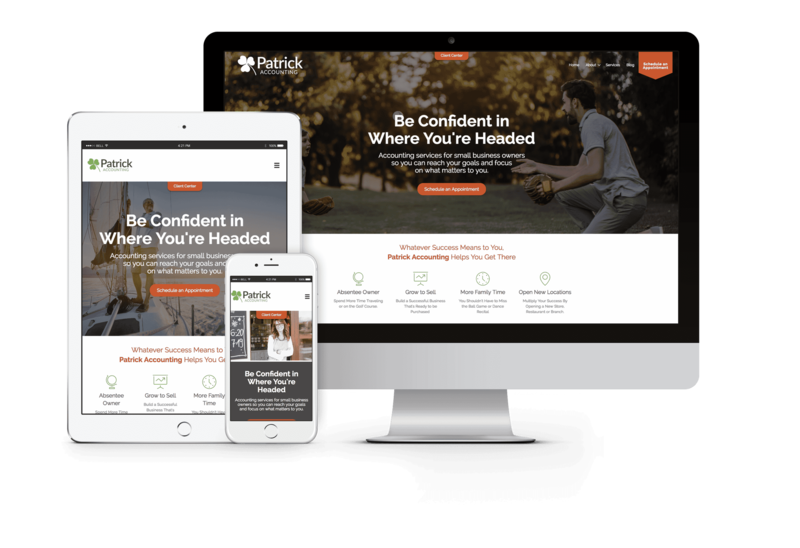 When the web designer and client are on the same page from the start, it is that much easier to get a great new site up and running quickly. We love working with clients that are already bought into StoryBrand, and our clients love working with us for the same reason. "We experienced very nice growth last year and many people complimented our website and said it was a big reason why they chose to start the bidding process with us and not other companies." Get your core marketing message clear and concise. Our first step is always to help you get this right. Turn your website into a sales tool. Clear message + good design turns browsers into buyers. Email is still 5x-10x more effective than social media advertising. Develop a strategy for collecting email addresses from visitors and create automated email campaigns to turn warm leads into sales. After our initial discovery meeting, we will create a proposal with our recommendations and a pricing quote to hire Banker Creative to execute the proposal. We design, write, & build you a new website you can be proud of. One that looks great, communicates clearly, and helps you grow your business.